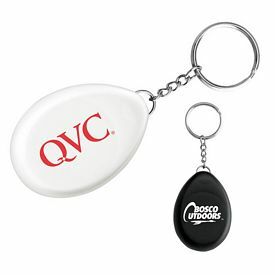 Promotional Compasses are highly useful and come under a different or unconventional category of advertising products. 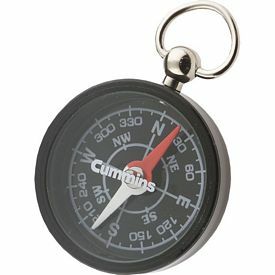 People can easily navigate their way by making use of the directions displayed on the custom compasses. 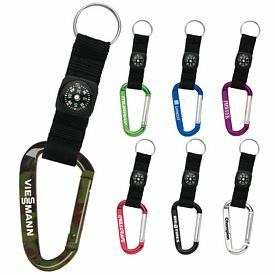 These can be used for various purposes like hiking, walking, traveling, etc. 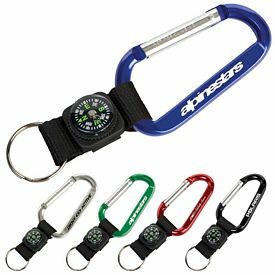 If your business is any way compatible to these activities or ideas, branded compasses will take your success to the next level. 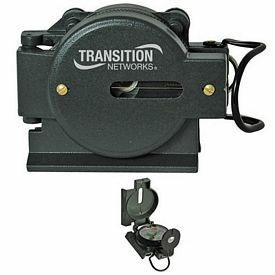 It is a foolproof way to brand your organization as reliable and functional in the market. Consumers will choose you over your competitors and a proper customer base will be maintained. 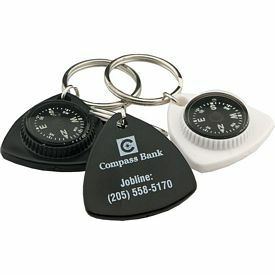 If you aim to purchase promotional compasses on a wholesale basis, you are sure to save on additional expenses. The more you save on your advertising budget, the wider your range of audience can be. 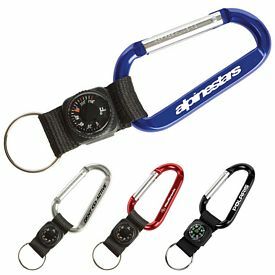 You can buy as many customized compasses as you want and get an excellent amount of exposure. 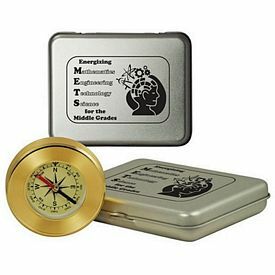 Logo compasses are of great use to people involved in army or marine engineering. Thus, professionals of any level, nature, or post can be targeted by your company. 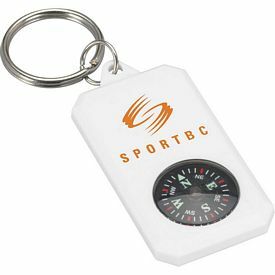 The quality, size, or durability of your logo compass should be measured well and then taken up as a representative corporate gift for your company. 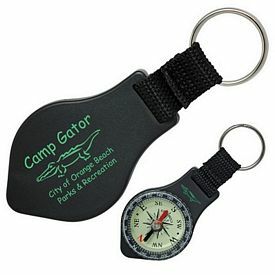 Promotional compasses, with no setup fees, come at affordable wholesale rates. 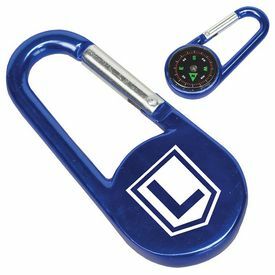 There are various rush hour offers on most of our promotional compasses that make your purchase easier on your marketing budget. 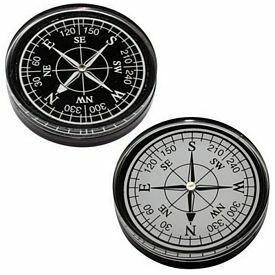 In our catalogs, you will find customized compasses that come in every price range and will be suitable for small or big companies. 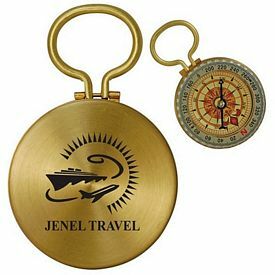 There are small gift compasses or big travelers’ compasses. We also provide a detailed description about each logo compass and its mechanism so that you don’t face any confusion. 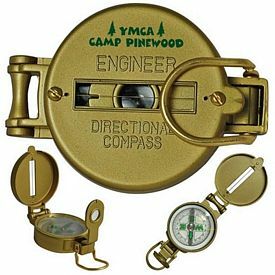 Imprinted compasses are always more exciting if they come with bonus features and utilities. This ignites the curiosity of the audience and also makes them appreciate your creative streak. 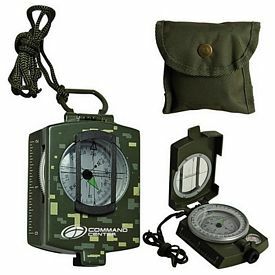 The military range of printed compasses comes in the much required camouflage color. 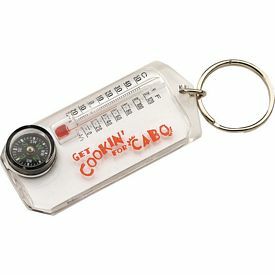 These have a centimeter and inch scale on both sides which can be used as a map measuring ruler. As you can see, this is bound to gather more appreciation than an average compass because it serves an added advantage. 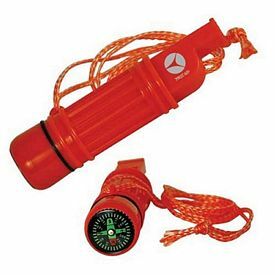 There is also a multi-purpose survival tool that contains a compass, flashlight, mirror, L.E.D, whistle, thermometer, magnifying glass and a small container within a single tool. 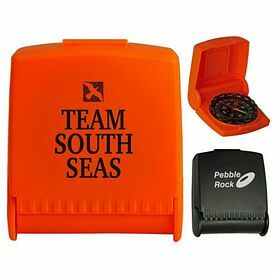 This is also a very good customized travel tool to give away to advertising your company name and logo.